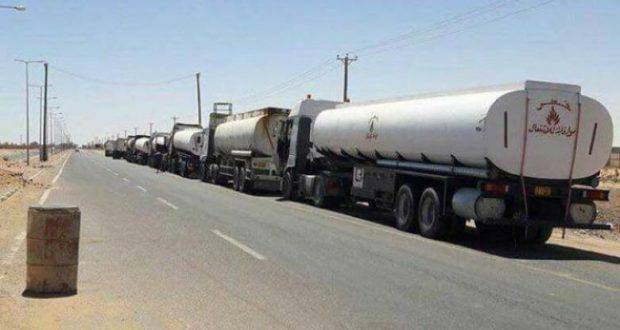 The Mayor of Shwerif Municipality and the head of the Federation of Southern Municipalities, Hassan Gaddafi, stated that a fuel convoy consisting of 17 trucks set off on Friday to the cities of Sabha and Shati after the road became secured. Hassan said in a press statement that shipments will be distributed to petrol stations directly, confirming the selection of a number of stations by the mayors of the municipalities of Sabha, Qardha, El-Shati, Barak and Edri. Southern cities and towns are suffering from a shortage of fuel and its derivatives, after supplies were cancelled from the Misrata depot four months ago due to the lack of security along the Misrata – Jufra – Sabha road.